The federal government has just released a new study on the topic of cell phone thefts, and as you might expect, it has become an incredibly common crime. 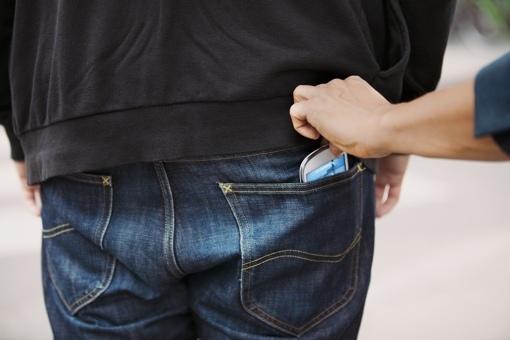 According to the FCC, there were 368.9 phone thefts per 100,000 individuals in 2013. That means an estimated 1.2 million phones were stolen last year. If the figure is correct, 1 out of every 10 thefts and robberies last year involved a mobile phone. That rate is as high as 6 out of 10 in tech-focused cities like San Francisco. Those are big numbers, but the good news is that they're significantly smaller than data reported earlier this year by Consumer Reports. The company’s own nationally representative survey suggest that a whopping 3.1 million phones were stolen in 2013. One would assume the FCC’s estimate is more accurate because it uses real-world crime data, though the agency is quick to note that many phone thefts go unreported. Most of these phones are never recovered, and the FCC’s statistics provides clues as to why. Only 36 percent of smartphone owners set a four-digit lock screen PIN to keep crooks out of their phones if stolen. And 34 percent don’t bother using any security method at all. If all those phones were protected, thieves would get little to no benefit out of stealing them. Of course, Apple has added a number of great security features to the iPhone since the start of 2013, including Activation Lock. The FCC doesn’t have concrete data for 2014 yet, but early numbers are promising enough. Six months after the introduction of Activation Lock, the number of iPhone thefts dropped by 38 percent in San Francisco and by 24 percent in London. Google’s Android is a bit behind in the security department, but the most recent build of Android 5.0 Lollipop contains remote kill switch capability, robust default device encryption, and new “smart locking” options. That update is still being rolled out to current Android owners, and could push phone thefts to even lower levels in 2015. You can check out the full FCC report on phone thefts, Report of Technological Advisory Council Subcommittee on Mobile Device Theft Prevention (PDF), by visiting the agency’s website.